San Antonio FC will broadcast 10 matches on the FOX Sports Southwest (FSSW) network during the 2019 USL Championship season, the club announced today. Eight home matches and two road matches will air live between May 11 and October 11. FOX Sports Southwest’s coverage of the season begins against Orange County SC on Saturday, May 11 at 7:30 p.m. from Toyota Field. FSSW will also air a second home matchup on May 18 when SAFC takes on the Tulsa Roughnecks before the network hits the road to cover San Antonio’s match at Sacramento Republic FC on June 1. 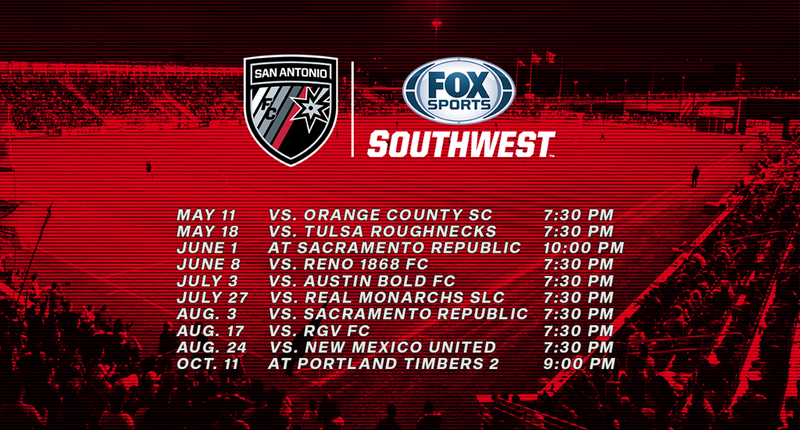 All 10 matches will air on FSSW Plus – FOX Sports Southwest’s alternate channel. 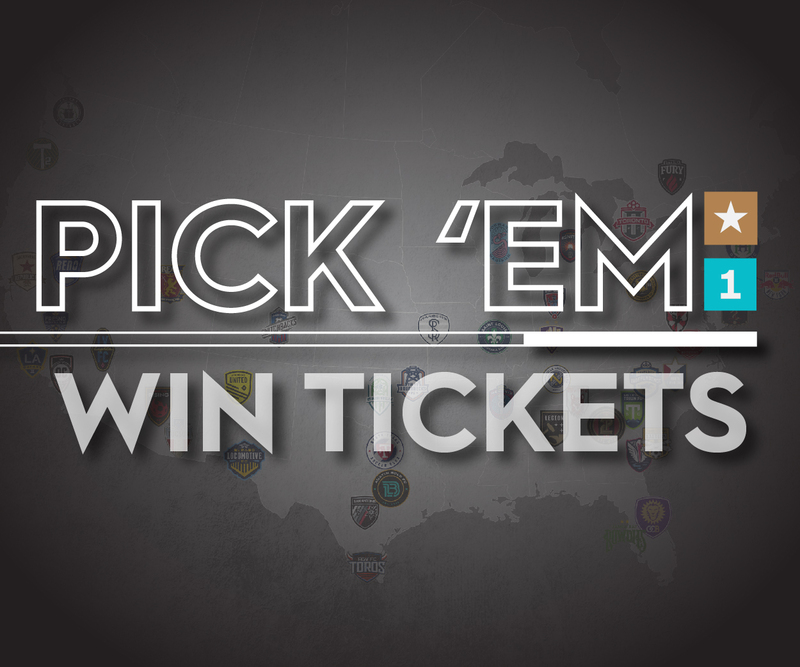 Six home matches between June 8 and August 24 have also been selected for coverage, including the July 3 match against rivals Austin Bold FC, and the August 24 match against Western Conference expansion side New Mexico United. FOX Sports Southwest’s coverage of the 2019 San Antonio FC season will conclude on the road on Friday, October 11 in Portland when the Alamo City club faces the Timbers 2. FOX Sports Southwest Plus is used by FOX Sports Southwest to simultaneously show multiple events on two channels and is available to all TV providers that carry FOX Sports Southwest.